Rehana Nanjijuma is a community builder at her core, passionate to facilitate learning that leads to purposeful action and empowers communities to flourish and be (sustainably) well. Committed to the ethics of equity and partnership, Rehana facilitates groups to leverage diversity, apply systems thinking and cultivate curiosity when actualizing their purpose and outcomes. Rehana lends a strengths-based approach whether facilitating group processes, training, evaluating programs, leading seniors chair yoga or teaching Nia, a dance practice blending martial arts, dance arts and mindfullness, that unleashes the joy of movement. Rehana is trained as a public health practitioner with a specialty in health promotion (MPH) with vulnerable communities including immigrants, women, youth and seniors. 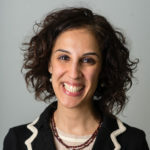 Rehana has eight years of experience leading, facilitating and evaluating health, community and research projects in Canada, Pakistan and Afghanistan. Rehana has conducted women’s health research, coordinated new immigrant health services, developed evaluation capacity in primary care and facilitated quality improvement for dementia care in British Columbia. Rehana loves to immerse herself in diverse cultures and learn new languages, abstract painting, creative writing and singing. Rehana Nanjijuma is delighted to join Bridge for Health, with a commitment to advancing flourishing communities that are empowered to choose well-being as a priority. A natural connector, Rehana is keen to leverage the power of community strengths, resources and networks to facilitate design of innovations for workplace well-being. Rehana imagines workplaces where employees bring their whole selves and envisions partnering with teams to re-fresh their vision of success through a lens of well-being and flourishing that compliments profitable and sustainable outcomes.